Includes a guided tour of the village, traditional doctor cleansing ceremonies, traditional dances, traditional food tasting, a lecture on Kikuyu traditional lifestyle, visits to tea/coffee farms, factories, church, a local school or simple come for lunch at midday and leave at 2.30pm, or dinner at 7.00pm and leave at 8.30pm. For full lunch, please book ahead. This is a homestay with a Kikuyu family for a complete African experience where you interact and dine with a Kikuyu family and enjoy African hospitality. Meet the community and participate in homestead activities by living and sharing with them. You are picked for the tour drive through Limuru with a brief stop at the Eastern Great Rift Valley view point. Driver further down to the valley to Maai Mahiu. Oonkidongi Cultural Centre where you will be welcomed by Maasai Morans with cow milk. Introdution of Maasai way of life will follow - most of it is in Cultural Dances, Maasai art cultural games and stories. The highlights of their life are: circumsicion songs, wedding celebrations and war songs. Thereafter you drive back to Nairobi arriving at around mid-day or late evening. 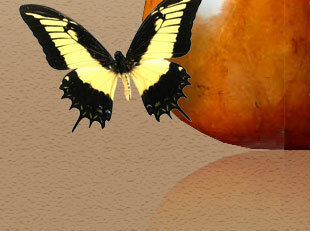 We have a wide range of tongue twisters and our artist will explain and teach students of their purpose and usage. We perform lullabies and demonstrate their use. We explain the meaning of lullabies in relation to the cultural values of the society. We have a wide range of proverbs which our artists will try and do their best to put into practice. Proverbs will only be meaningful in their context and students will have professionals where they have dialogue where the language is enriched with well selected proverbs. 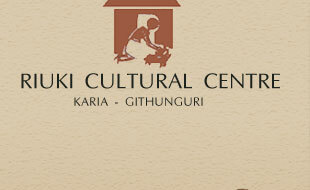 The Riuki Cultural group will also present a wide variety of Kikuyu poetry and use the appropriate instrument. The poets are original and their poetry reflects the rich Kikuyu cultural values. We have groups of professional dancers and soloists who perform all categories of songs and dances. These include: 1. Wedding, 2. Work songs, 3. Praise songs, 4. Initiation songs, 5. Love songs and more. Its our sincere hope that we shall entertain, teach and interact with students and make oral literature life and enjoyable.